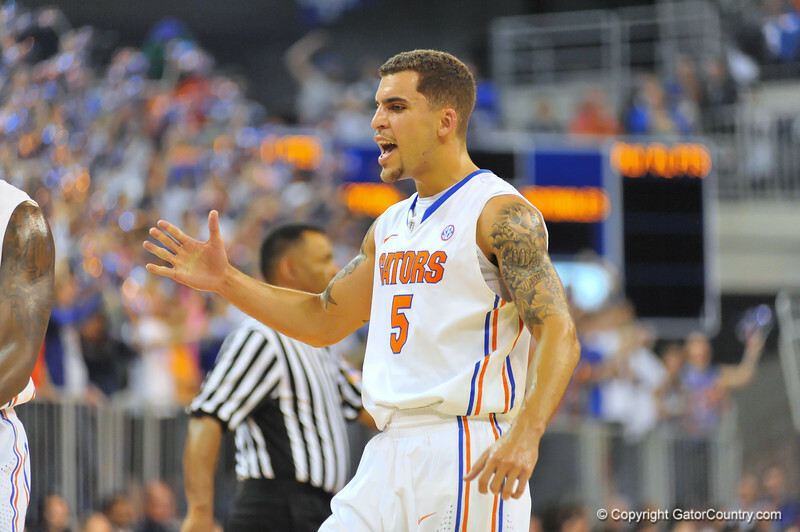 Florida guard Scottie Wilbekin celebrates after hitting the three pointer in the first half. Florida Gators vs Florida State Seminoles. Gainesville, FL. November 29, 2013.